Nothing says autumn quite like apple cider. For centuries, people have celebrated the fall harvest of apples by pressing them into cider. Hot apple cider, sparkling apple cider, and hard apple cider are the quintessential beverages of autumn. Don’t let this autumn pass you by without stepping onto a farm and celebrating the apple. Fall at Finnriver Farm on the Olympic Peninsula. Finnriver Farm and Cidery in Chimacum is hosting an Apple Festival this Sunday, October 16, 2011, from 1 to 4 p.m. There will be apples, hot apple cider, apple brandy, and a variety of artisan hard ciders. There will also be family games, face painting, and music all day. The incomparable Cape Cleare salmon cart will be on hand with delectable dishes like their salmon sandwich, and Finnriver will serve a few tasty sweet treats. Why stop at just one Washington State cidery? Head over to Eaglemount Wine & Cider while in the Chimacum Valley and sample their ciders. 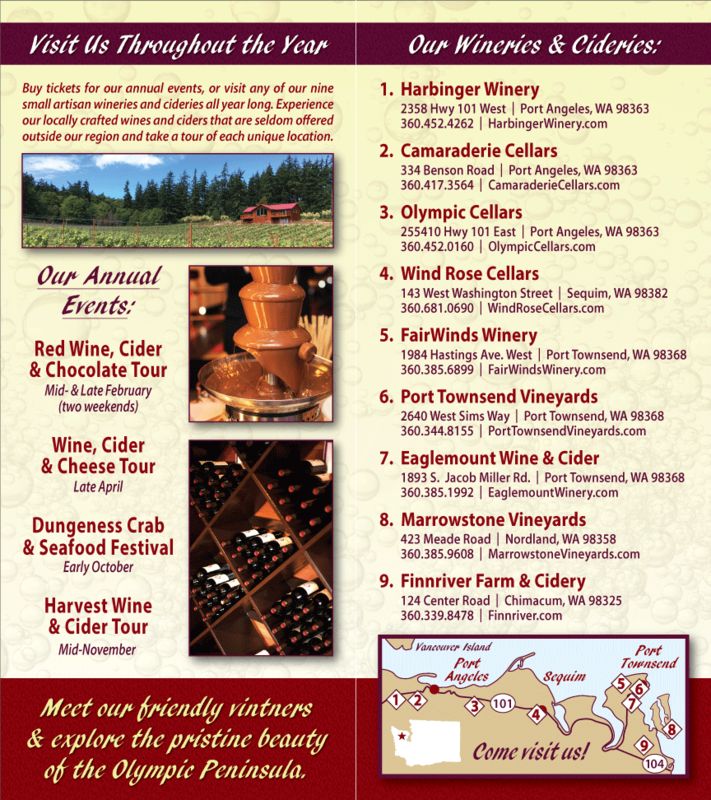 The wine studio at Eaglemount Winery is open Fridays, Saturdays, and Sundays from noon to 6 p.m.
Finnriver Farm & Cidery and Eaglemount Wine & Cidery are members of Olympic Peninsula Wineries, a group of Washington State Wineries and Cideries making wine on the Olympic Peninsula. Celebrate the apple this Sunday, October 16, 2011.